The campus department of music was one of multiple organizations around the country that participated in the United States World War I Centennial Commission’s “Bells of Peace” event Sunday. The Campanile’s north and south clock faces were discovered to be running behind early Tuesday afternoon because of a mechanical issue. Standing at 307 feet tall, the Sather Tower, commonly referred to as the Campanile, celebrated the 100th anniversary of its original 12 bells on Friday. 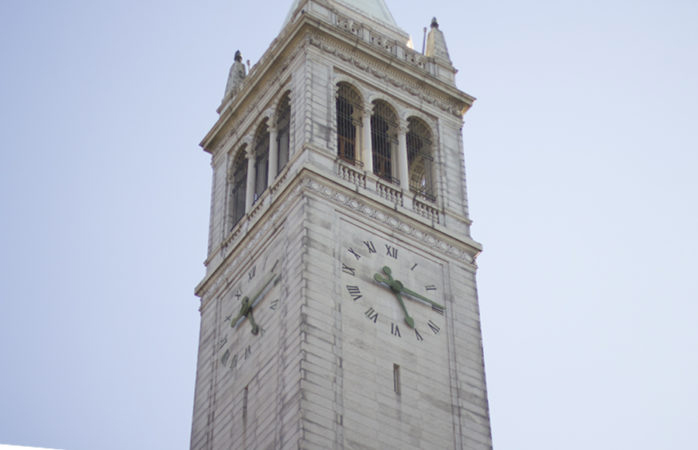 Because of an electrical system malfunction, the hourly bells of the Campanile stopped ringing as the gears of the tower’s clocks came to a standstill June 12. Hundreds gathered in front of the Campanile Tuesday to celebrate the tower’s 100th birthday, watching live performances of music and lights that harnessed real-time seismic activity from the Hayward Fault. Berkeley attracts a variety of public musicians. Student groups, indigenous communities, and seasoned musicians triumph in the open air. They play for their community, for their fans, or simply for fun.